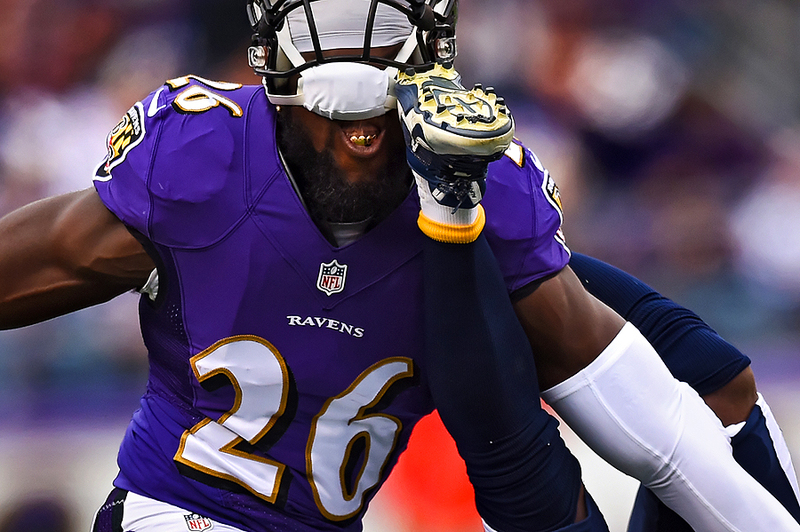 "Strong safety Matt Elam #26 of the Baltimore Ravens is kicked by wide receiver Eddie Royal #11 of the San Diego Chargers as they collide in the first half at M&T Bank Stadium on November 30, 2014 in Baltimore, Maryland." Shooting through the play and making sure to review images in detail can always benefit a photographer. Covering the game for Getty Images, as the San Diego Chargers took on the Baltimore Ravens early in the game, a rare moment happened. As the quarterback released the ball, I panned up-field to a completion by wide receiver Eddie Royal of the San Diego Chargers. It was a quick pass and I was focusing on leveling out my camera as I was blocked by a referee for a split second. Once I located the receiver, although not composed perfectly, I kept on the shutter as he bounced onto his back. I wanted to go vertical in the frame because I was way to tight for the vertical position of both players. As I kept shooting, Royal's cleat unintentionally found it's way to the face of strong safety Matt Elam of the Baltimore Ravens. It wasn't until there was a break in play that I went through to review an tag images for the editor that I realized what had happen. A bad picture full frame, a moment in a portion of the frame made for a unique image. Being diligent about being an in camera editor not only helps discover these types of moments, but also helps on and off site editors discover them, too.